1. I like the word itself, the way it sounds – the pl blend, the short u, the humming m, the silent b. And` how it looks – lots of curved shapes with a few straight lines to balance them out. 2. Plums (minus the b) are juicy and sweet. This might seem cliche or trite, but I don’t care: life is too. You just have to look for the sweetness amidst the daily routine. 3. I like the idea of plumbing the depths of life as a theme for my writing here. I want to take off the top layer of the day-to-day and discover what lies beneath, to measure the depth of the water below. I have a husband and three children – one seven, one four and one 15 months, so my ship is fairly large and unwieldy. The paint is chipping, the decks haven’t been swabbed in a while, and often it seems like the captain has left the thing to steer itself. But underneath there is a whole ocean carrying it along. It stays afloat and rides the waves whether my family pays attention or not. I’d like to pay attention. The waters are murky sometimes, but it’s worth doing the work to see what’s down there. That’s where the interesting, and the funny, and the why come in – underneath. I’ve spent the last seven years just riding along, looking over my shoulder at what we’ve sped past or gearing up for what lies ahead. I haven’t stopped long enough to look up, out over the edge, or down below the waters at the present tense. Now that I’ve had my third and (as far as I’m concerned, but I’m not selling my bouncy seat yet) final child, I feel the urge to take a look at what’s going on. I feel like the fog has somewhat cleared from my mama-brain and I’d like to take advantage of the opportunity to use it. I want to plumb the depths of life – the things that we all experience on our own, separate-but-similar ships. The things that make us human: Beauty. Joy. Pain. Humor. Struggle. Love of Trader Joe’s vanilla cookies and milk. Wait, maybe that’s just me. If taking a look at the deeper meaning of everyday life – the stuff that usually slips by unnoticed. The juicy, sweet stuff. 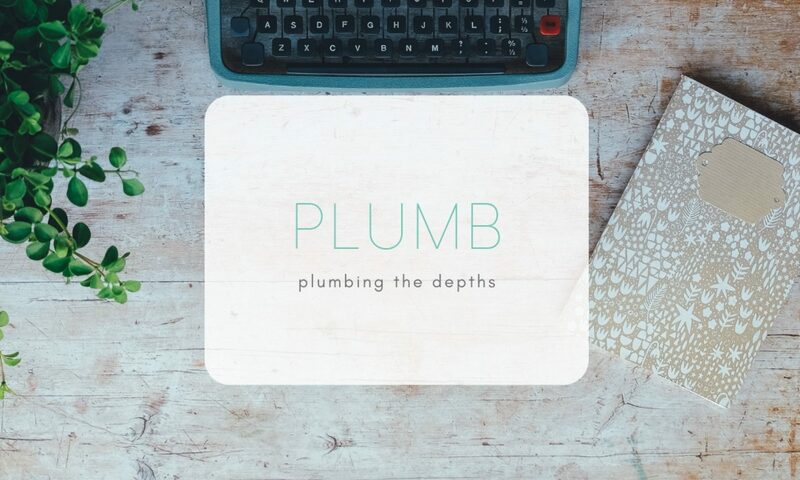 If that sounds like a good way to spend a few minutes on a Monday, check out my blog each week and let’s plumb the depths.